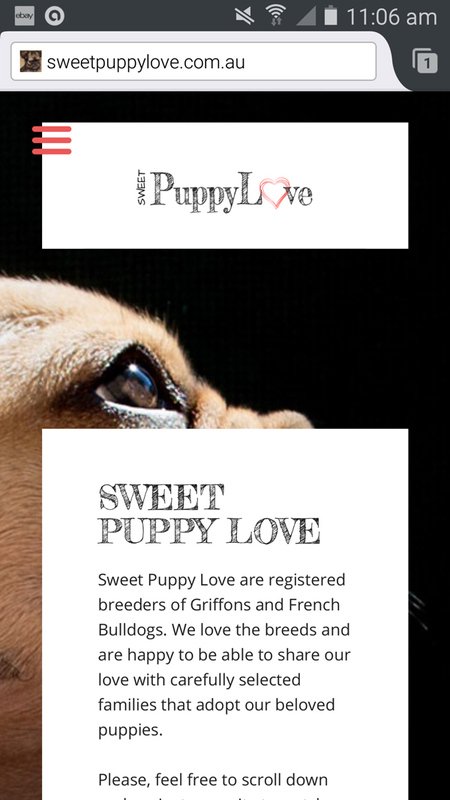 Sweet Puppy Love are registered breeders of French Bulldogs and Griffon Bruxellois based on the South Coast NSW. Aaron and Rick needed a website that would reflect their core values: standing against puppy farming and raising healthy and well adjusted pure breed dogs. We had worked with Aaron before building a website for his previous business, and were happy to help out again. The website text is written by 8WEB based on notes from client meetings, which was afterwards reviewed and edited by client. 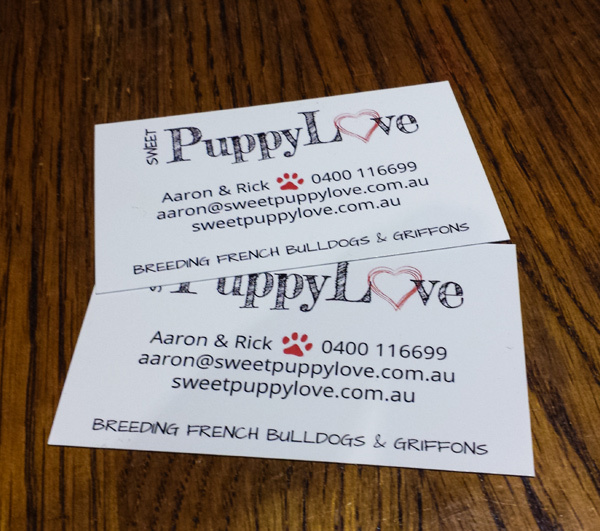 Sweet Puppy Love logo and business cards were also created by 8WEB. Aaron wanted his website to provide clear information about the dog breeds, his services and the adopting process. 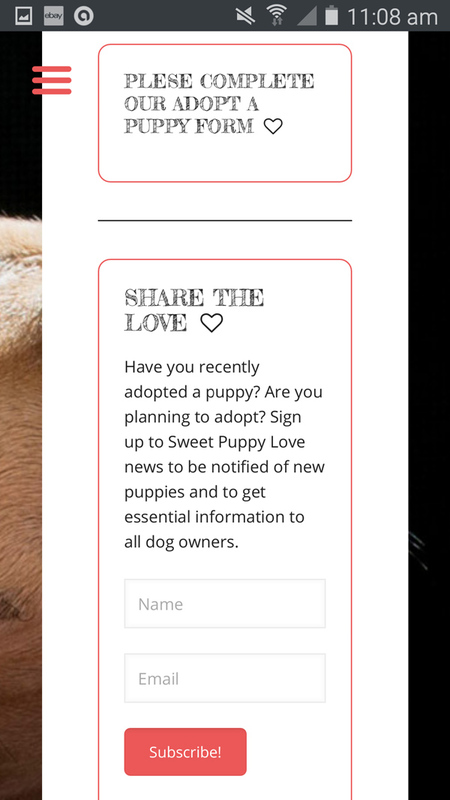 The website needed to be mobile responsive and feature both dog breeds. Adding videos to YouTube and streaming them on the website allows visitors to see the puppies and his facilities. 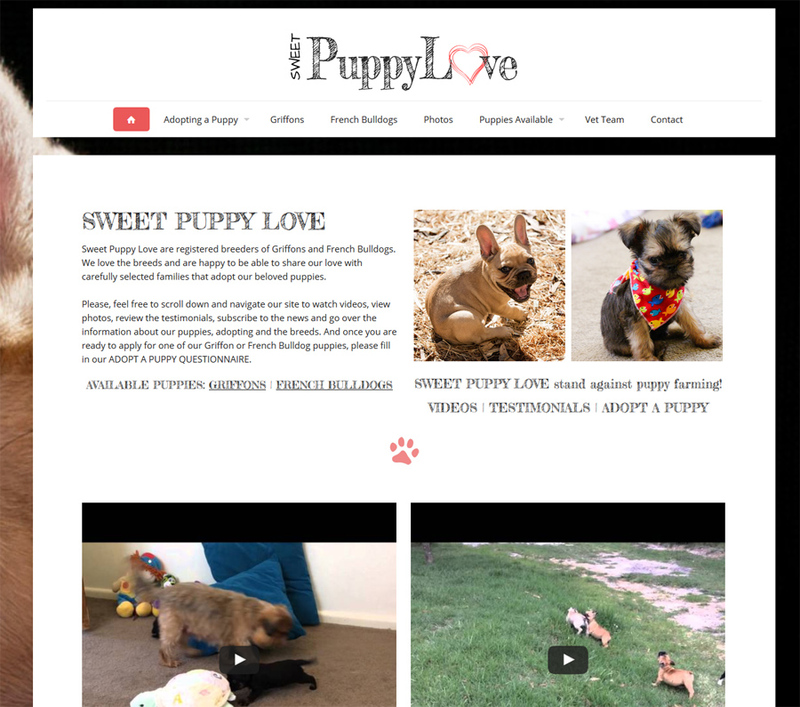 8WEB continues to provide hosting and website maintenance support to Sweet Puppy Love. The new website is brilliant! I love it! Enquiries are streaming through! And the forms help us in seeing how serious people are about adopting. Thank you so much in helping to set up all the other accounts and listings, too. It is great to know that you guys are ready to help whenever needed.